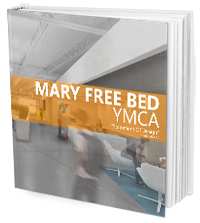 The Mary Free Bed YMCA is slated to open its doors on December 7 – and we couldn’t be more excited! This project marks an amazing collaboration between two flagship organizations in the Grand Rapids community – the Mary Free Bed Hospital and the YMCA of Greater Grand Rapids. The idea behind the project came out of early discussions with the Progressive AE team. Both organizations wanted to create a facility that was designed with everyone in mind. 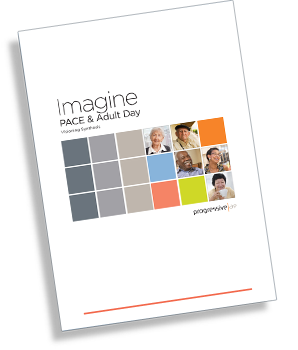 At some time or another, most people will find themselves challenged by age, language barriers, temporary illness or injury. With that as the focus, our team of designers, architects and engineers were able to create a facility that is more functional and user-friendly and conceived around the principles of Universal Design and thus, was truly designed and created with everyone in mind. And everyone is just who Maria Besta, manager of the Wheelchair and Adaptive Sports Program at Mary Free Bed, had in mind when she was asked to help in the design and planning of the new building. Independence and ease of use were major factors the Progressive AE design team considered when applying Universal Design principles. Understanding the needs and unique barriers that persons with disabilities face was very important. 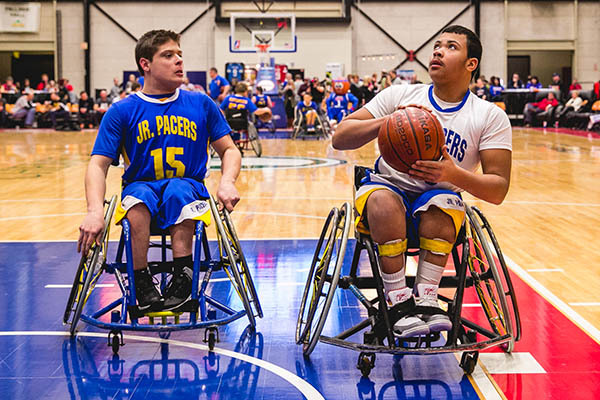 For example, did you know that wheelchair athletes have a special chair used for specific sports? These custom chairs require additional electrical power requirements adjacent to the where the sport is being played and a storage room where they can be housed and repaired. Specifically, we have included additional electrical outlets around the basketball court for the athletes to charge their chairs during breaks. This allows their chairs to be powered for peak performance at game time. Some of the other design aspects were extra barrier-free bathroom stalls throughout the facility, larger changing areas, additional space around gym equipment to allow wheelchair access, elevators equipped with low-mounted elevator controls and a hard surface softball field constructed of asphalt for the adult wheelchair softball league. “Currently, because we’re unable to play on dirt fields, our softball team is practicing in a parking lot. This new field will allow us to grow our program, practice more often, hold tournaments and even start a junior league,” said Besta. 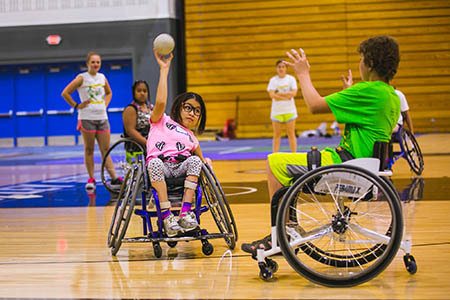 The partnership between the YMCA and Mary Free Bed will extend beyond the physical building with programming that will include side-by-side educational and sporting opportunities for persons with disabilities and able-bodied members. By working together the YMCA and Mary Free Bed saw an opportunity to meet a need of the community that their individual expertise could uniquely fill: a place where all of West Michigan residents could exercise and play sports without facing the limitations of conventionally designed facilities. 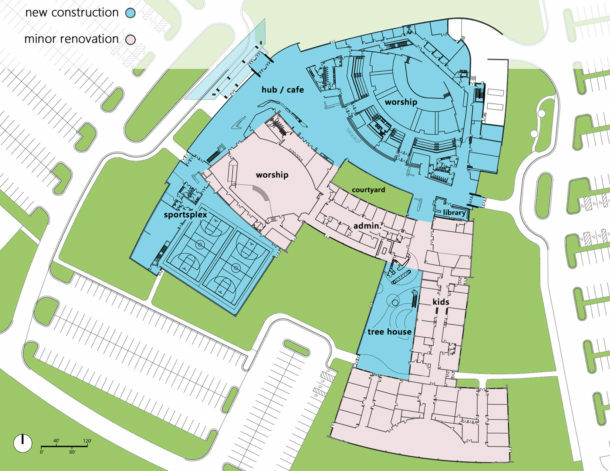 The Mary Free Bed YMCA will be the first building in the world to have Universal Design Certification through the Global Universal Design Commission (GUDC). Universal Design looks beyond disability and aging recognizing there is a wide spectrum of human abilities. 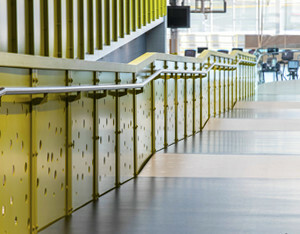 Interested in learning more about Universal Design? Please contact Michael Perry.